I love sweet cool desserts during the summer, well year round honesty. And while I love baking its nice to have some no bake dessert options that still taste amazing. 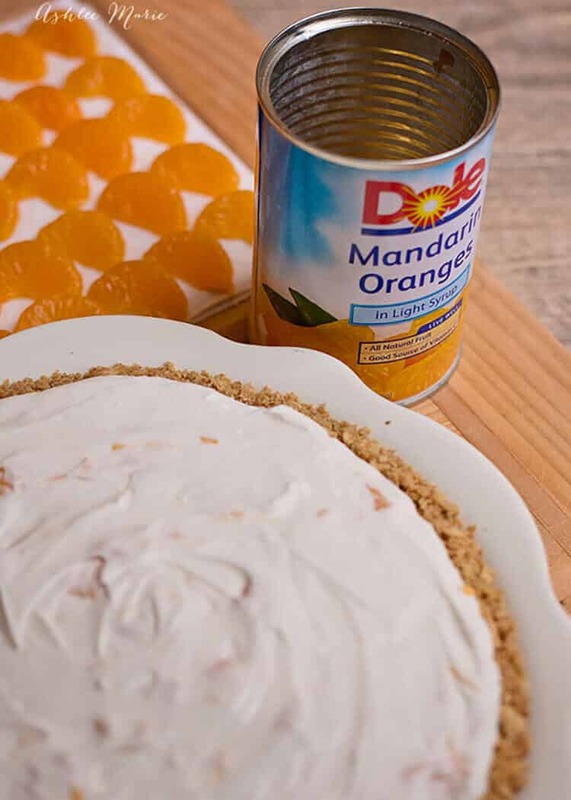 So when DOLE Canned Fruit reached out asking me to come up with a dessert using their mandarin oranges my mind immediately want to a no-bake cheesecake! You guys know I kind of have an obsession with cheesecakes, both baked and no bake. My family get’s to try all of my experiments when it comes to cheesecakes, and not all of them are as successful as others. THANKFULLY this one was a huge hit! It was gone in 2 sittings, and they have already asked for it again! The best part? It’s so easy to make I’m going to put my oldest in charge of making it next time, I love having recipes they can help me make in the kitchen. Mix together the crumbs, sugar and melted butter in a bag until well combined. Press the crumbs into a 9 inch pie pan. You can either freeze the crust or cook it. It holds together BETTER if it's cooked, but will work either way. Beat the cream cheese, sour cream, sugar and vanilla on medium speed until smooth. 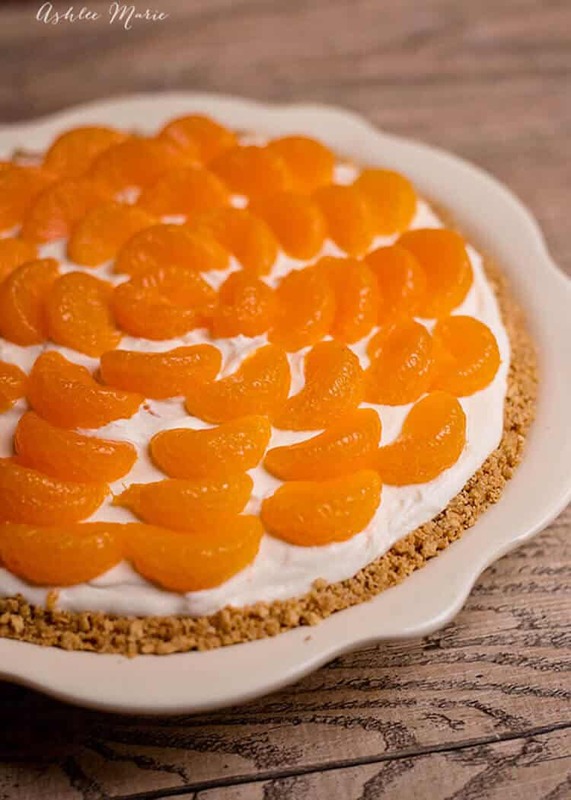 Place the rest of the mandarin oranges over the top of the pie, freeze for 3-4 hours. Take out 15 mins prior to serving, cut and enjoy! Cheesecake pairs so well with fresh fruit and DOLE canned fruit is easy to use and perfect for desserts, toppings AND baked goods! In this dessert I use both IN the dessert itself AND as a topping. Using canned fruit is convenient, fat free and is of course rich in vitamins A & C so I feel great using it in my foods. It worked so well, came together so quickly, and everyone loved it so much I’m actually interested in trying this recipe with some of the other canned fruits to see if my husband and kids like it as much. So what are your favorite fruits to include in desserts? I admit my husband is obsessed with mango smoothies, and my kids love pineapple. I also love using canned fruits in my savory meals as well, like my pineapple chili, or of course Hawaiian haystacks. I’m starting to realize how few dinner recipes I have posted, would you guys be interested in more? or do you love my dessert obsession? This is a sponsored post written by me on behalf of DOLE Canned Fruit. It’s beautiful! I love mandarin oranges and never thought to put them on a cheesecake! I’m going to save this and make it soon. Perfect for a family party! My kids do too! I wasn’t sure if it would really work well together, but we all really liked it! Yum Yum, this looks delish and so refreshing! 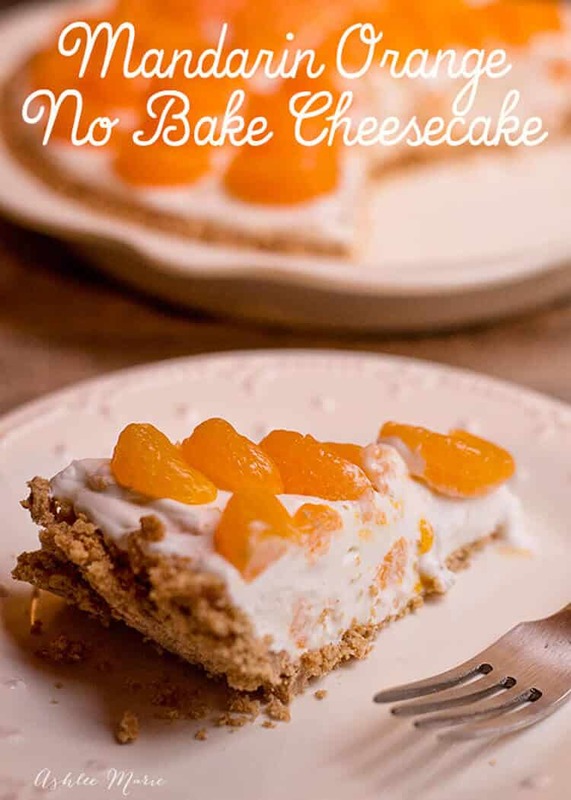 No bake and pretty with those oranges! I have to make that for our next family gathering. Love those mandarin oranges! What a great way to use them!! 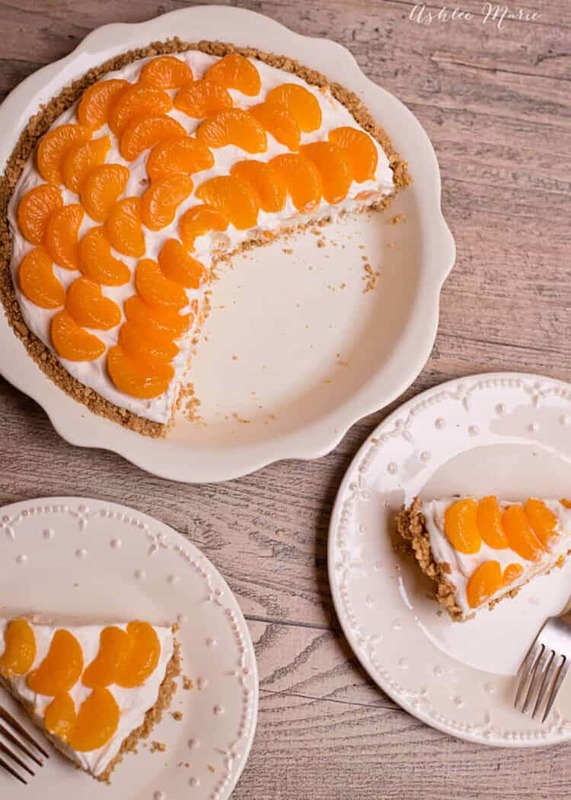 My daughter made this Mandarin cheesecake and it was soooooo good!! It was gone QUICK!! we will be making it many more times in our future, and definitely recommend it to anyone who hasn’t made it yet! !